J. Kasichainula joined the NCSU faculty in 1985 after three years as an associate metallurgist with Ames Laboratory. Kasichainula’s group is developing advanced coatings of novel materials for technological applications. The coatings are used for corrosion and wear resistance, diffusion barriers, heat spreaders, and metallization schemes. The diamond coatings are developed for machine tools, seal rings and electronic heat spreaders with strong industrial collaboration. Modern semiconductor and superconductor films are developed for electronic applications. They then characterize the thin film coatings and determine their physical properties. Microstructural characterization and correlation with the observed physical properties is the key to develop high quality thin films in our research. Modeling of the microstructural features is performed to understand the physical properties of composite thin films. 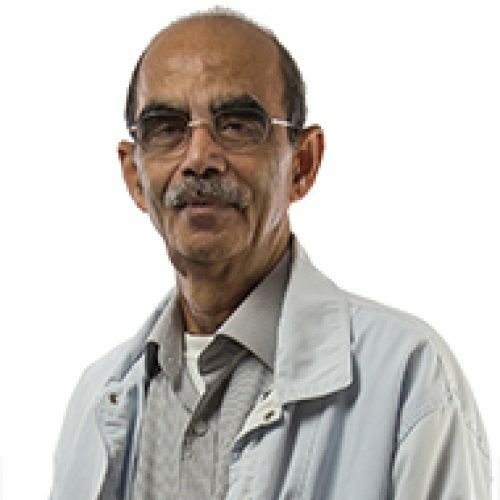 Dr. Kasichainula’s research interests include thin film deposition of ceramics, diamond, composites, semiconductors and superconductors; analytical characterization of microstructural features, interfaces and grain boundaries; dislocation theory, deformation and fracture of materials; modeling of physical behavior of materials. Jagannadham, K. (2018), Metallurgical and Materials Transactions. A, Physical Metallurgy and Materials Science, 49A(8), 3738–3752. Brown, M., & Kasichainula, J. (2013), Journal of Composite Materials, 47(27), 3413–3420.